many businesses consider integrating influencer marketing into their marketing mix. Be transparent about your partnerships. Less is more! Opt for a micro influencer. 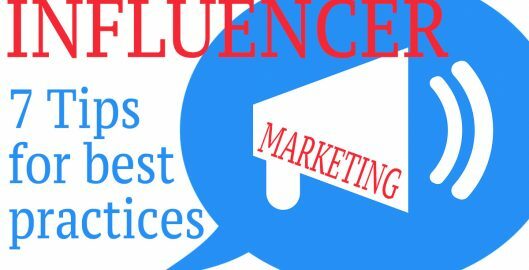 For more bang for your buck look for influencer with targeted following – it’s more effective and often less expensive! Found a trusted influencer and have established a relationship? Turn loyal customers into brand advocates. They have the most authentic voice. Try using various social media platforms. Though Instagram seems to lead the way, don’t ignore other channels. Use Influencers Marketing Tools to establish the right partnerships and track them. Possible tools: Tapinfluence and Upfluence. Measure ROI – track your influencer campaigns. Options: UTM parameters, unique promo codes (per influencer), branded hashtag.